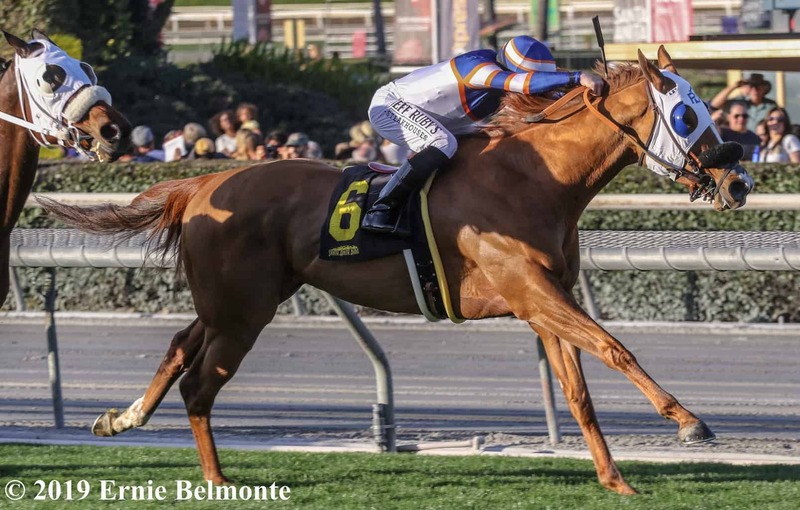 ARCADIA, CA – S Y Sky shot down the hill in Saturday’s $150,000 Sunshine Millions Filly & Mare Turf Sprint Stakes at Santa Anita. 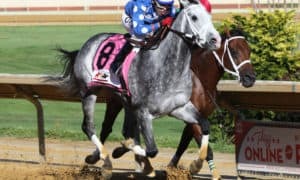 With her win here today, the five-year-old daughter of Grazen claimed her first victory of 2019 and her third career stakes win. S Y Sky broke well and moved straight into the lead as they hit the first turn of the Santa Anita downhill turf course. Queen Bee to You also broke well and stayed up with S Y Sky while the favorite, Cordiality, sat less than a length back with Halo Darlin. As they moved into the lefthand turn, Cordiality made a move on the outside of the turn to make a three-wide run at the leaders. S Y Sky maintained her lead and hit the top of the stretch as the clear leader as she moved up along the rail. S Y Sky was much the best, finishing 1/2 length ahead of Queen Bee to You. Fiery Lady got up for third in a photo with Bella Luma who finished fourth. S Y Sky is owned is bred and owned by Nicholas Alexander and Trained by Phil D’Amato. This was the fourth win on the day for trainer D’Amato who also picked up a stakes win earlier in the card with Touching Rainbows in the $100k Cal Cup Sprint. S Y Sky returned $6.00 to win, $3.00 to place, and $2.80 to show. Queen Bee to You brought back $7.80 to place and $5.80 to show, while Fiery Lady paid $7.60 to show.